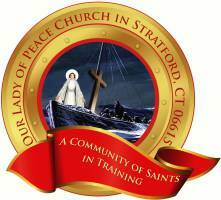 Welcome to Our Lady of Peace Faith Formation! The purpose of Faith Formation is to help one another grow into a deeper relationship with our Lord, Jesus Christ through better knowledge and understanding of the Sacraments and Church teachings. It is our hope that we become a parish of joyful missionary disciples ready to share God's love and mercy with all those we encounter.